The Torah in Parashat Shelah tells the distressing story of the spies, who were sent to see Eretz Yisrael and then convinced the people that they would be unable to conquer the land. Curiously, the Torah tells us that the spies were sent to Eretz Yisrael during the time of “Bikureh Anabim” – when the grapes began to ripen. This occurs in the summertime, and Hazal indeed tell us that the spies left on the 29th of Sivan, and returned forty days later, on the 8th of Ab. The great Kabbalist Rav Shimshon of Ostropoli, who authored a commentary to the Midrash Pelia, explains that while the Satan always poses a threat to the Jewish People, its power increases during specific times of the year, including the two summer months – Tammuz and Ab. Indeed, as we know, many calamities befell the Jewish Nation during these months, such as the destruction of both Bateh Mikdash. The Hebrew word “Anabim” is spelled “Ayin,” “Nun,” “Bet,” “Mem,” and the letters preceding these four letters are “Samech,” “Mem,” “Alef” and “Lamed” – which spell the name by which the Satan is called (“Sama-el”). (In truth, the word “Anabim” is written also with the letter “Yod,” but according to Kabbalistic tradition, the word is written in the “heavenly Torah” without a “Yod”; this subject requires a fuller discussion in a separate context.) On this basis, Rav Shimshon explains, we can understand the Midrash’s remark. The phrase “Bikureh Anabim” may be read to mean, “that which precedes ‘Anabim.’” The Midrash is telling us that this was a time when the Satan is given special power, and thus our evil inclination is particularly strong. Hence, the timing of this expedition is the cause of its failure, as the scouts were especially prone to succumbing to their Yeser Ha’ra (evil inclination). This notion, that the Satan has special power during the summer months, is plainly visible even in our day. 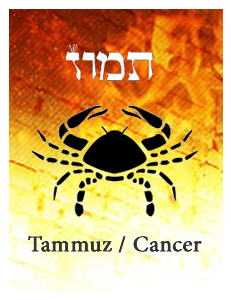 The months of Tammuz and Ab generally fall during the months of July and August, which we instinctively associate with a “loose” atmosphere, and when we are all especially prone to relaxing our religious standards. This is also the time of year when modest dress becomes a particularly difficult challenge in light of the hot weather and generally laid-back atmosphere. Not coincidentally, our schools and yeshivot close down during these months, and students are left without their ordinary framework of Torah study and outside the Torah environment in which they spend their days throughout the rest of the year. All this proves the accuracy of Rav Shimshon of Astropoli’s depiction of the Satan’s unique strength during Tammuz and Ab. Moshe told the spies before they left, “Ve’hithazaktem” – “You shall be strong.” We need to be especially strong and vigilant during this time of year to maintain our religious standards and not relax our commitment to Halacha. Certainly, we are all entitled to a relaxing vacation, which often proves valuable and vitally important for our physical and emotional wellbeing. At the same time, however, especially because of the relaxed, laid-back environment of summer, we need to take extra special care and, as Moshe instructed, to “be strong” in maintaining proper Torah standards. Recognizing the special power given to the Satan during the summer months, let us redouble our efforts to avoid improper behavior and remain faithful to our values even as we enjoy a well-deserved period of relaxation. Likewise as a people we grew too comfortable, became overly bureaucratic, excessively structured with monarchs, temples with rituals, and our life force as a nation began to slowly ebb and lose momentum. Our prophets cried to us in the streets, warning us, trying to wake us out of our slumber, but we paid them no mind. Everything was fine the way it was. Simplicity set in, naïveté took us over and eventually callousness. And there we remained with the same tenacious as that which has once given us the strength to become a nation of God wrestlers-the very meaning of Yisrael. And eventually the outside world overtook us and carried us away in chains. Ancient Tribal Connection: Yehudah - יהודה The tribal archetype for Tammuz is Yehudah which means appreciating what God brings us whether trials or gifts. Both are welcome. Of course we usually appreciate the gifts rather than the trials. Learning to be certain that both come from HaShem is a tremendous growth in spiritual consciousness. This is the essence of the meaning behind Judaism. It is about always being grateful even for what we don't yet understand-an appreciation born out of certainty trust and faith. Yehuda is not only elected to lead his brothers, including the three that are older than him. He is also designated as the ancestral lineage carrier of the Messiah. He is fierce like a lion, yet humble in his demeanor. When he errs, he is not afraid of openly admitting his guilt, a trait that trickles down through the ages to his descendant David, who confesses and owns responsibility for his illicit union with Bat Shevah and his involvement in the demise of her husband Uriah. 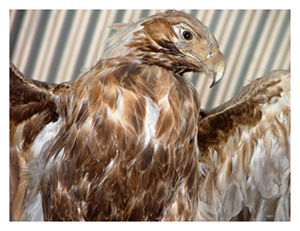 Yehudah then, is an archetype that combines ferocity, honesty and humility. Modern Tribal Connection: Reuven or Reuben - רובן Leah explained, upon seeing her first born, "See, A son." This is the meaning of the Tribe of Reuben. This is why the Kabbalists teach us that the "missing" tribe of Reuben is somewhere in China. The Chinese have a significant bias towards male children as a cultural inheritance. There is much to learn from the Tribe of Reuven as indicated in the section below the Ancient Wisdom Sections. 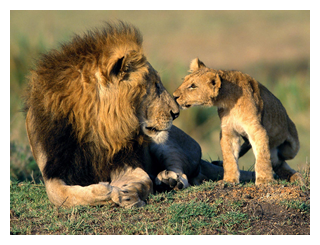 Tribal Totem: Aryeh or Lion אריה The totem of the tribe of Yehuda and the moon of Tammuz is Lion. Its basic quality is warrior, with the wisdom to know when to use one's full power and when to hold back from using one's full power. The lion, like the divine light, walks in balance between the extremes, between fierceness and being overpowering. This is why in Hebrew we call lion Aryeh which is two words OHR meaning light and Yah which meaning God. Thus, the translation is the God of light. The God light, like the lion is both fierce and overpowering as well as healing and nurturing, depending on what is called for in the circumstance in the moment. The lion is also the sacred keeper of the East, the place of new beginnings, the very same direction whose charge was assigned the tribe Yehudah during the desert journey. East in Hebrew is Mizrach which implies shining, as East is where the sun begins to shine across the planet. It is also called Kedem which implies beginning. New beginnings always required us to ring forth our deepest warrior instincts. New beginnings are often intimidating, scary, exciting, fun, all at the same time. 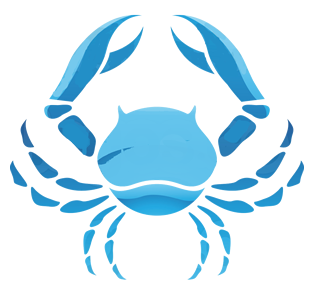 Zodiac Sign: = Sartan - Crab סרטן This is the drama of our emerging from mother water to find our own balance, our own independence, our own selfhood. The crab moves from sea to land, from the womb of newness to the daring adventure of engaging newness, leaving the sea for dry land, and dry land for the sea, transitioning interchangeably from spirituality to physicality. 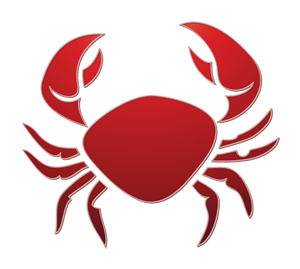 The crab then reminds us of the oneness of both and the equal need and importance of both in our lives. Water represents spirituality; Earth represents physicality. Tribal Direction: East קדם Shining - as this is where the sun begins its journey and brightens up the sky. Parasha Korach – This essence allows us to control earthquakes and other natural disasters. Here are links to understand this more fully. Parasha Chukat – Removing Death and using the tool of Mind Over Matter. Parasha Matot-Masei – Journeying through the Universes. The gematria of the Vav = 6; the gematria of the Zion = 7; together the total is 13 which is the gematria of the word Echad. Echad means one or unity. One way of understanding the energy of Tammuz is we have the potential to complete the unification. To what unification are we referring? Let's see below! The word that is the Tetragrammaton is actually the Hebrew verb "to be" in a conjugated form. The Yood at the beginning of a Hebrew verb indicates action. Therefore the Name of God translates into English as "Active Being." The ultimate essence of "Active Being" is transcendent power of love and compassion without regard to people's merit. There is one other word that has a gematria of 408 that reveals the positive aspect of Tammuz. It is the word Zot spelled Zion Aleph Tav. The meaning of this word is This. We say/sing this word when we remove the Torah from the Ark on Shabbat Morning (Zot HaTorah).The Kabbalists teach us that the letter Zion in Zot represents Zeir Anpin or the Spiritual World and the letters Aleph and Tav represent all of the energy of the Hebrew Alef Bet which is a metaphor for all of the endless vessel, culminating in the physical world. Zot therefore means a unity between the spiritual and physical worlds. This is why the 17th of Tammuz was intended to manifest the end of death in our world, but due to the Golden Calf we got this wrong one more time. Yet the universe promises us another opportunity. Are you getting ready for this event? It is called the "Coming of Mashiach!"